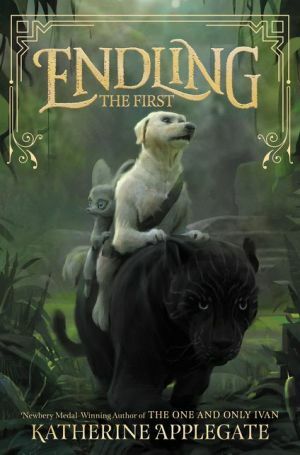 Endling #2: The First is the second book in an epic middle grade animal fantasy series by Katherine Applegate, Newbery Medal-winning and #1 New York Times bestselling author of The One and Only Ivan, Wishtree, and Crenshaw! To learn if she truly is the last dairne in the world—the endling—Byx and her friends must travel into the snow-covered mountains of the country of Dreyland, where they hope to uncover the truth behind the legend of a hidden dairne colony. But the threat of war across the lands continues to grow with each passing day. As the group confronts untold dangers at every turn, they will ultimately uncover a treacherous plot that involves the other powerful governing species. With both her dreams and all the creatures of Nedarra on the brink of extinction, Byx and her friends are determined to never give up hope. Soon they find themselves the unlikely leaders in a simmering rebellion that risks everything they hold dear. Byx may be the last of her kind, but will she also be the first to lead the revolution? In this sequel to the New York Times bestselling first book—which received four starred reviews—Katherine Applegate once again delivers an action-packed middle grade fantasy with a unique setting, enthralling characters, and gripping adventure that is perfect for fans of Rick Riordan, Brian Jacques, and Tui T. Sutherland.